There is no end of things to do in Western Maryland. This mountainous side of the Old Line State offers a picturesque backdrop for a number of outdoor experiences. When you’re visiting the area, consider one of the following adventurous things to do in Western Maryland. Take one of Lake Pointe Inn’s mountain bikes out for a spin on the peaceful country roads surrounding the inn, or head up to Wisp Resort where you can rent a mountain bike and experience its new Freeride Park. This park offers a natural rocky terrain, along with wood ramps and bridges throughout the wooded mountains at the resort. Freeride Instruction classes, as well as guided tours are available. With five state parks in close proximity of Lake Pointe Inn, you can enjoy any number of hiking trails. Deep Creek Lake State Park is the closest state park and offers three trails, including the very strenuous Fire Tower Trail that ascends over 500 feet in elevation as you climb to the top of Meadow Mountain. At Swallow Falls State Park, enjoy hiking a trail that follows part of an old logging road. The lengthy trail takes you through a beautiful hardwood forest and past or through several streams. Be sure to look for beaver activity when you encounter the streams. Lake Pointe Inn supplies canoes and kayaks for our guests, making it very convenient to explore Deep Creek Lake at your leisure. For those looking for a bit more adventure, consider one of the local companies that offers white water rafting tours, as well as canoe and kayak experiences. Laurel Highlands offers guided kayak and rafting adventures on the Yough River and Cheat Canyon. Cheat Canyon offers high adventure on Class IV and V rapids. Wintertime activities that are a must are cross country skiing and snowboarding. With 25 miles of trails in Garrett County, you can snowboard and cross country ski to your heart’s content. Herrington Manor State Park offers 10 miles of trails perfect for beginners to intermediate skiers. Ski and sled rentals are available. Savage River State Park also offers miles and miles of cross country skiing or snowshoeing adventure. Savage River State Park also offers miles and miles of cross country skiing or snowshoeing adventure. Canaan Valley offers cross country skiing, snowboarding, downhill skiing, snowshoeing, tubing and ice skating! The hardest part will be deciding what to do first! A day on Deep Creek Lake will be one to remember whether you plan to relax or expend some energy waterskiing, wakeboarding or cruising around on a jet ski. Beginners need not worry. Local experts can teach you how to water ski during your stay at Lake Pointe Inn. Greg Rouse grew up water skiing on Deep Creek Lake and has been teaching folks how to water ski (on skis and barefoot!) for 23 years. Boat and watercraft rentals are available through The Aquatic Center. Horseback riding is an excellent way to experience Western Maryland. Nearby Circle R Ranch offers guided trail rides that take you up and over hillsides, into wooded areas, across streams and through an apple orchard. New this winter, Circle R Ranch is also offering one-horse open sleigh rides. Snuggle up under a blanket as you glide across the snowy countryside. Hayrides offer fun for the entire family. Take a trip to Miller’s Family Farm for a hayride, as well as other activities, such as roasting marshmallows by a fire. 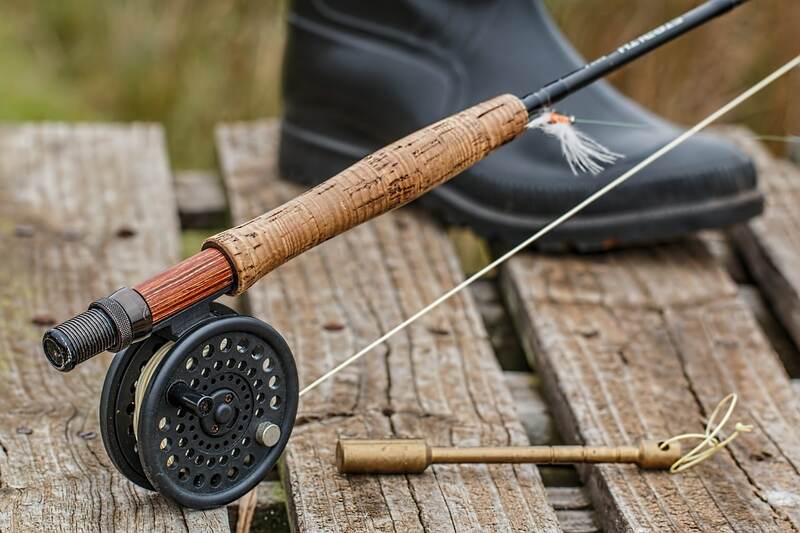 Garrett County is known as a sweet spot for fly fishing. Conditions are favorable for the sport due to the region’s cold mountain rivers, streams and lakes. Several local businesses offer fishing tours, including Bill’s Outdoor Center and DJ’s Outdoor Adventures Unlimited. Use your own equipment or borrow what you need from the experts. Either way, a day spent on the water with your family will be one for the memory books. After your adventure, enjoy some down-time at the Lake Pointe Inn where you’ll find all the comforts of a fine bed and breakfast. Be sure to return in time for a daily afternoon cruise aboard the inn’s pontoon boat. Each room is individually decorated for a unique and homey feeling. Amenities in the rooms include private bathrooms, gas fireplaces, and comfortable beds with luxurious linens. After a wonderful night’s rest, enjoy a fresh, made-to-order breakfast in our dining room. Don’t die, and have good bacon! — Looking for romantic getaways in Maryland?